Every school kid has learned the story of Benjamin Franklin and how he discovered electricity by flying a kite into a thunderstorm. The story we learned in grade school, however, is a bit more complex. 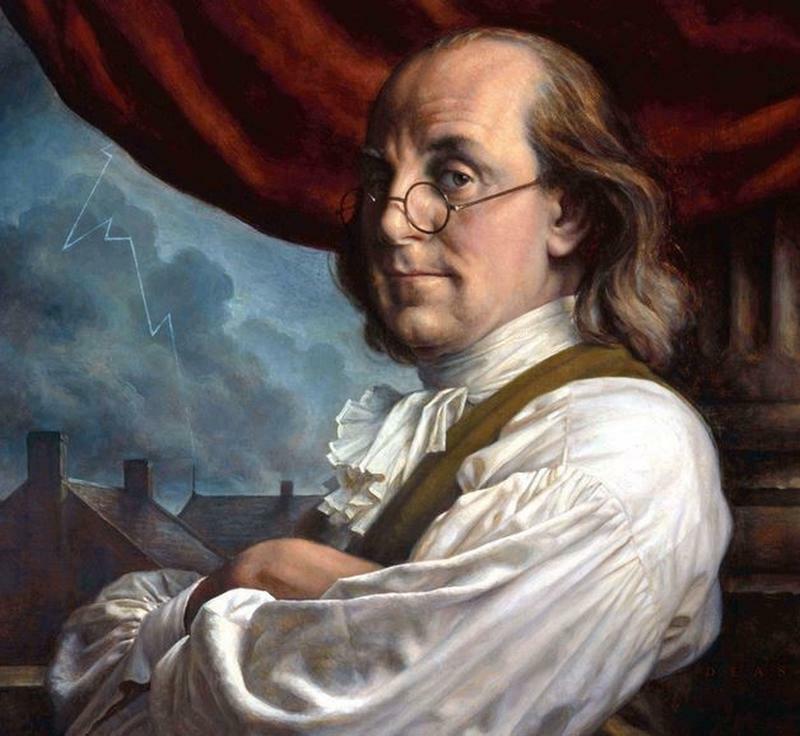 While it is true that Franklin tied a key to a kite string and ventured off into an electrical storm, his scientific experiment didn't ‘discover’ electricity. But it did aid our understanding of it. Here is the real story of Ben Franklin and his kite. Even though he was born a century or so after the end of the Renaissance period, it would be safe to call Benjamin Franklin a Renaissance Man because he had such a wide range of interests. He was, of course, a politician and one of the Founding Fathers of the United States. He was an author, printer, and publisher. He served as a postmaster, a patent officer, and a diplomat. He studied complex scientific principles and was extremely knowledgeable in the areas of natural science, physics, and more. As an inventor, he is credited with developing bifocal glasses, the Franklin stove, and lightning rods. As a community leader, he started the library system in the U.S., founded the first fire department, and started the University of Pennsylvania. He was known as a great dancer, bit of a womanizer, a Freemason, and a downright funny guy. Electricity is a naturally occurring phenomenon. Humans have known about electricity for thousands of years and, in fact, there may have been attempts to harness electricity as far back as antiquity. Archaeologists have unearthed a strange artifact that dates back to around 220 AD. It is a ceramic vase that holds a copper tube and iron rod. It was discovered that, if an acidic liquid like vinegar was poured into the vase, an electrical charge is generated. This discovery has been named the Baghdad battery. Many other scientists have studied electrical energy and wrote about their experiments. 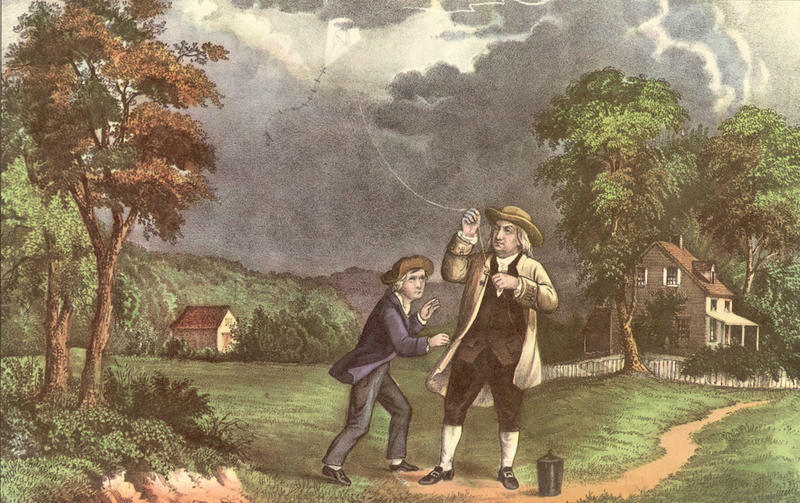 Franklin’s kite experiment was conducted to learn if lightning was a form of electricity, as Franklin theorized. 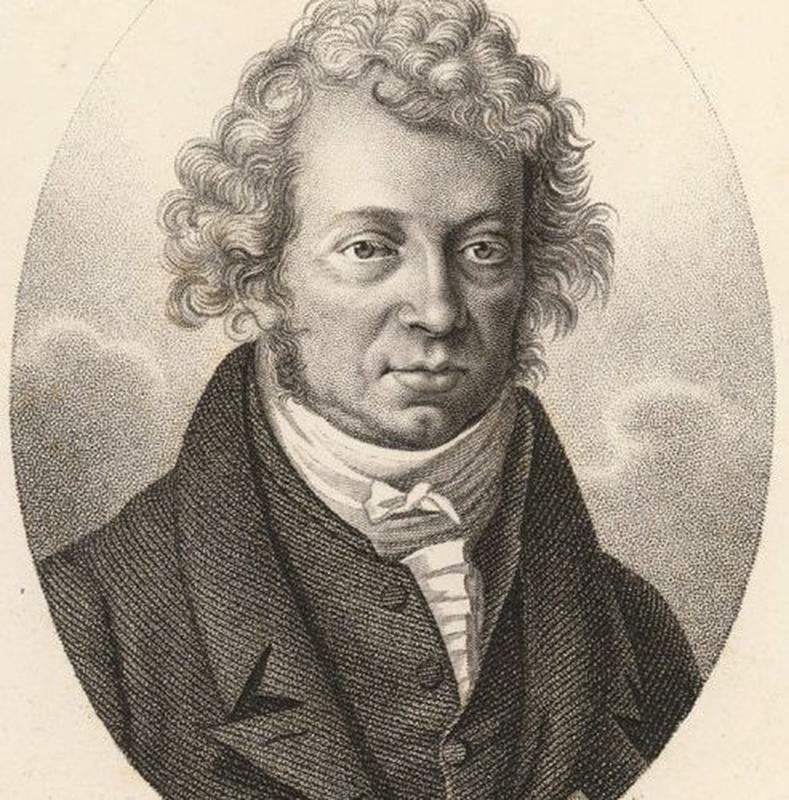 Benjamin Franklin’s friend, Peter Collinson, a fellow scientist from England who was living in Paris, was conducting his own experiments in electricity. He sent Franklin an electricity tube. 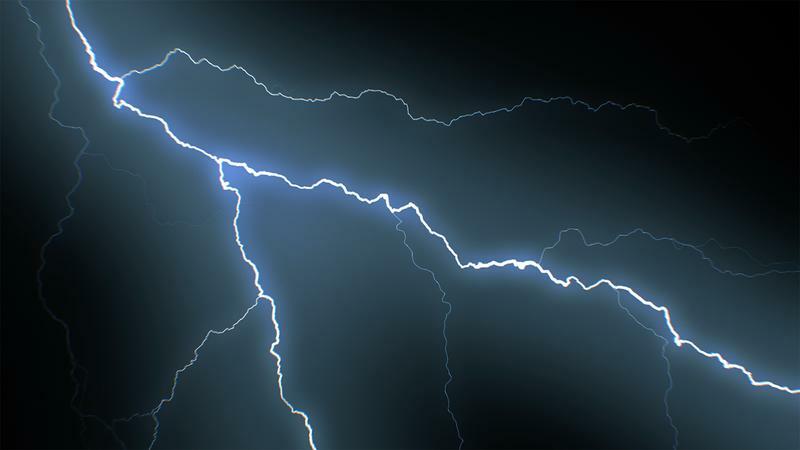 Franklin studied the tube and noted how the positive and negative charged particles interacted to create a spark, that reminded Franklin of lightning he had observed in the sky during storms. 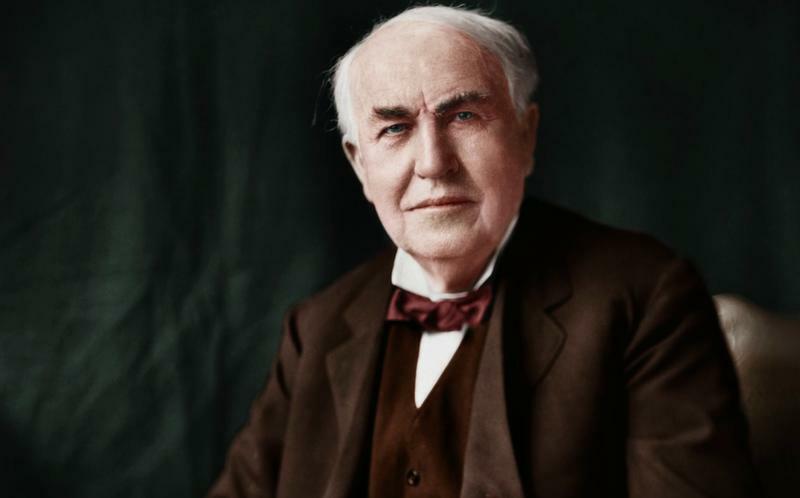 He developed the theory that lightning was actually electricity. A storm, he believed, created negative and positive charges that created a huge spark that we call lightning. Benjamin Franklin sent a letter back to his friend, Collinson, in 1750. In it, he wrote about how he could find out if there was, indeed, a connection between lightning and electricity. The experiment would require that he get up close and personal with a lightning strike. In his letter to Collinson, he proposed climbing to the top of a tall building, like a nearby church, and mounting a 30-foot metal pole high in the air. The lightning, he believed, would be drawn to the metal pole. To himself, though, Franklin wondered if the pole would be long enough to reach into the storm. He came up with another idea…using a kite. But this wasn’t included in his letter to Collinson. Collinson translated Franklin’s letter into French and shared it with several prominent French scientists. 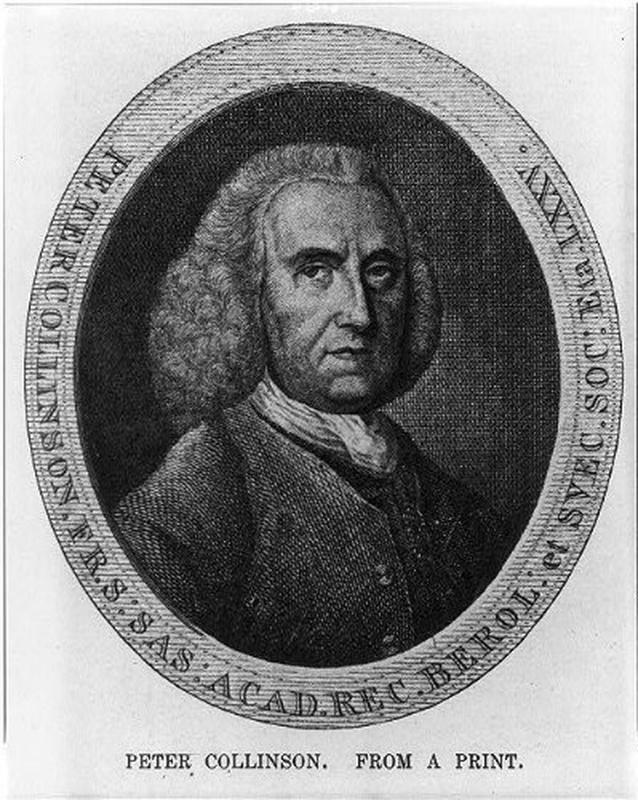 One of them, a naturalist named Thomas-Francois Dalibard, performed Franklin’s experiment using a long metal pole in France on May 10, 1752, one month before Franklin flew his kite in Philadelphia. Dalibard’s experiment proved that Franklin’s theory was correct, but Franklin still gets credit for proving it. Benjamin Franklin determined that a kite could reach higher into the sky than a metal rod, so he prepared for his experiment. He built a kite out of silk mounted on a string of hemp. He attached a silk ribbon to the string and brought along a metal house key and a Leyden jar, an old device that was used to store electrical charges. When a storm rolled in, Franklin and his son, William, took their supplies to an open field. 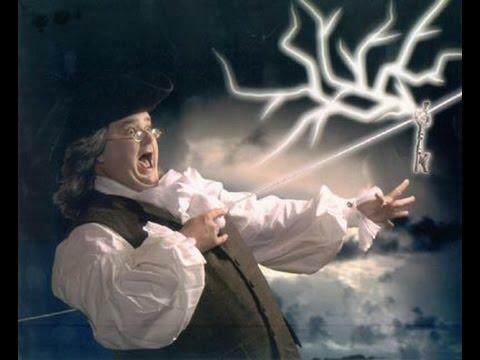 In the modern retelling of the story, Ben Franklin’s kite is struck by lightning and the electrical current travels down the hemp rope to the metal key. When Franklin touched the key, he received an electrical shock. That’s probably not how it happened, though. Most scientist today believe that if Franklin’s kite had, indeed, been struck by lightning, Franklin would have been instantly killed. Instead, they theorize, the kite picked up the ambient electrical charges from the thunderstorm which was enough to give the key a mild zing when touched. Flying a kite in an electrical storm, we now know, is a dangerous thing. Franklin was lucky he wasn’t killed. Benjamin Franklin wrote up the results of his kite experiment and the report received mild feedback from the general public. It wasn’t until more than 15 years later, when Franklin’s friend and fellow scientist, Joseph Priestley, the person credited with discovering oxygen, wrote about the kite experiment that it gained widespread acceptance. Franklin’s work with electricity provided the foundation on which other scientists and inventors could build, including Thomas Edison, who developed the light bulb some one hundred years after Franklin’s famous kite experiment.